2 What is Moroccan Argan Oil Made of? 4 How to select right Moroccan Argan Oil? Moroccan Argan Oil benefits are so much discussed these days. Do you wish to know everything about Moroccan Argan Oil and its review in the Indian Market. Dear readers, our topic of the day is about the most popular and expensive oil in the world; Moroccan Argan Oil. It is even termed as ‘Liquid Gold’. Ladies, if you have not heard of the Argan Oil yet, let me assure you that you will perhaps make up your mind to buy one immediately by the end of all the information that I am going to share with you. For those who already know it, I am also going to share some insightful knowledge about things to be taken care of, while buying an Argan Oil, so that next time when you buy it, you pay for something that’s 100 per cent original and not fake. Before I begin with the informative, let me ask you a question first – what will you call an oil that works like a hair-skin-lip moisturizer, treats acne and dry skin problems, conditions hair for healthy growth and repairs split ends, has healing powers to treat the skin injuries and burns? In fact, there is more to this list, but what will you call an oil with so many benefits? LIQUID GOLD! It is indeed. Argan Oil is a production of Argan Tree Kernels; a native plantation from the beautiful country of Morocco. That is the reason it is called as Moroccan Argan Oil. It is extracted from the kernels (soft edible part of a nut in the shell) of the Argan Tree. It is originally the fruit which is small, round and sometimes conical or oval in shape that has fleshy pulp inside surrounded with hard shelled nuts. What is Moroccan Argan Oil Made of? The fruits are kept in open air to get dry and after that their flesh is removed. The fleshy pulp is used as animal feed as well as the nut that comes out of the fleshy pulp is then roasted to make culinary Argan oil. Soon after it cools down, the workers will grind them by hand pressing and the brown colored mash discharges the pure unfiltered Argan oil. This oil is used for cooking. And for the cosmetic use, the extraction method is nearly same, except that they don’t roast the fruit. Being extremely rich in beneficial nutrients, including fatty acids and vitamin E, it is particularly ONE CARE Solution for overall hair & skin, which made it highly popular even to some celebrities like Kaley Cuoco; The Big Bang Theory Fame – Penny, Eva Mendes, Jessie J et al. Skin Conditioner and Moisturizer: It has been most commonly used to hydrate and moisturize the skin as it gives the skin a natural boost. Moroccan Argan oil for skin is a perfect natural moisturizer because it is non-greasy and gets absorbed fully without any irritation. 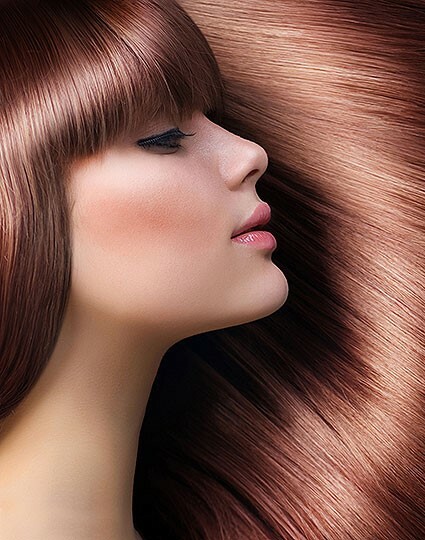 Hair Care: It is a proven hair treatment to soften the hair, make it even silkier and shinier. Imagine using so many products on chemicals on your hair and that all being replaced with just one. Moroccan Argan oil benefits for hair are proven and it has been claimed to stop hair fall completely. Styling agent: Moroccan Argan Oil for hair also has an ability to tame frizz hair and get it shinier which ultimately helps to manage hair in a more domestic way letting your hair appearing more healthy and attractive shiny. Anti-aging: Moroccan Argan Oil for skin being an ultimate skin moisturizer, it also helps to tighten the skin elasticity and bring out the youthful glow to the skin that helps reducing the appearance of wrinkles and in turn, acting as an ideal anti-aging product. Anti-acne: Acne is often resulted due to oily skin, whereas, Argan oil being non greasy helps the skin balance the natural oils by providing with the necessary moisture. It soothes the skin and promotes healing too. Dry skin conditioner: The vitamin E and fatty acids from Argan work excellent to repair the dry skin conditions such as Eczema that often leaves the skin raw, flaky and itchy. It nourishes the skin with essential nutrients to prevent further irritation and dryness. Prevent stretch marks during pregnancy: Since Argan oil has the essential fatty acids and vitamin E to boost the skin elasticity, it also helps in providing an ideal protection against the stretch marks, sagging, puckered skin after the birth. Ideally recommended for all pregnant women to keep away from stretch marks. Skin Healer: Not only it helps with preventing irritating and dry, damaged skin, but also helps in healing cracked and burned skin. It has got properties that boosts the healing rate, reduces inflammation as well as soothes pain. Nourishes Nails: It is also recommended to treat the brittle nails, dry hands and cracked heel skin on the feet. The moisturizing and skin softening property of Argan oil works magic with nails and skin over hands and feet too. Moisturizes Lips: To get your lips rid of dryness in winter, Argan will ensure your lips more supple, soft and plump. 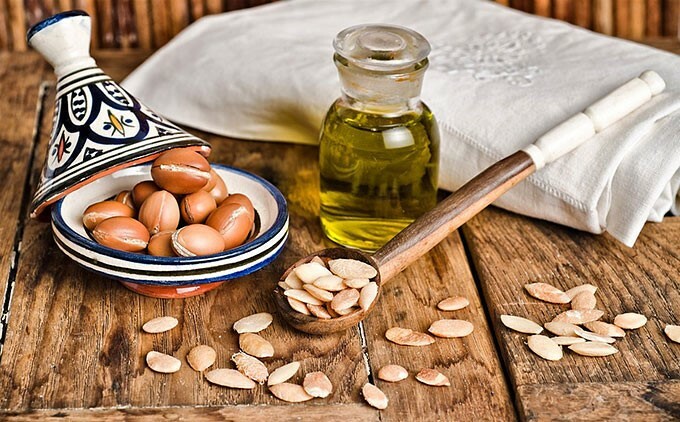 I am sure that you have already made your mind now to buy Moroccan Argan Oil, do wait for more tips, because the market is flooded with so many products that claim about Argain Oil. So how would you find the right product? How to select right Moroccan Argan Oil? Always opt to buy Pure Argan Oil or look for the words that read Pure Argania spinosa L. Oil. Do not go for the products that read, infused with Argan Oil or with content of 3% or so. There is a lot of confusion for Moroccan oil vs Argan oil. Moroccan Oil and Argan Oil are two different oils. I am talking about Moroccan Argan Oil Argan Oil, being a production from its native country Morocco. Around 60ml worth at wholesale is available for about $2. If you get something cheaper than this, it is not genuine. It has a tendency to get spoiled in light or when stored improperly in plastic bottles. The best recommendation is to buy them from tinted glass bottles only. Do not buy a whole lot of stock because its shelf life has been a maximum of 2 years. Smell it, it would smell nutty or sometimes it would also smell of goats. So ensure to do a smell testing before you apply in whole. It appears in golden colour with non-greasy or non-sticky and feels really soft – silky on the skin. You can buy it from branded stores or Amazon too, considering the trusted brands only. A minimum of 100 ml bottle of pure argan oil would cost at least INR 1999 and above. Other products such as hair serum, facial masks and others would be available in a range of INR 499 and above on mostly all websites. You would find a lot of forums and discussion about finding this oil from the exact right place. You may want to try and order it from an international website if you are absolutely concerned about its genuineness. Or the best would be try one in a less quantity of the most trusted brands. Let us know how you found Argan Oil on practically using it after reading so many great benefits about it. Till then, stay healthy & stay beautiful! thank you so much Twinkle Parekh..